SURF! 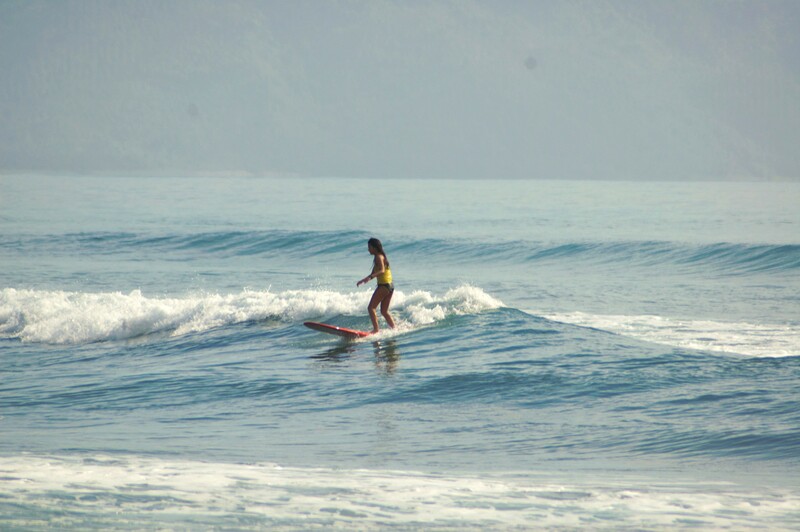 One of Baler’s famous surf spots, Sabang beach, is not the only place to catch good waves. There are also clean, barreling waves like Cemento for skilled surfers who ride shortboards, and nice, small peelers like Secret Spot or Rivermouth for surfers who enjoy long rides on longboards. LOCALS. The friendliest, most energetic company that’s needed to keep a trip stoked! Locals of Baler are more than willing to entertain guests at any time to enjoy Baler to the fullest. FOOD. Start the day with a plate of Tapsilog in El Teodoro, and have some peanut butter flavored coffee at Ground Swell after. On a tight budget? Enjoy lunch or dinner at the famous Rolling Store with fresh home cooked meals. Baler is also covered with fresh grilled seafood and ensaladang pako on any of the food establishments around. There are so many food choices in Baler! LOCATION. The best sunrise view happens on the east side. Wake up early morning to catch it, and appreciate the sun’s rays filling the ocean bed, turning it into a mix of warm, soft colours of reds, oranges, and violets. Waking up to catch the sunrise is always worth it in Baler. Photo taken at Aliya Surf Camp. ENVIRONMENT. 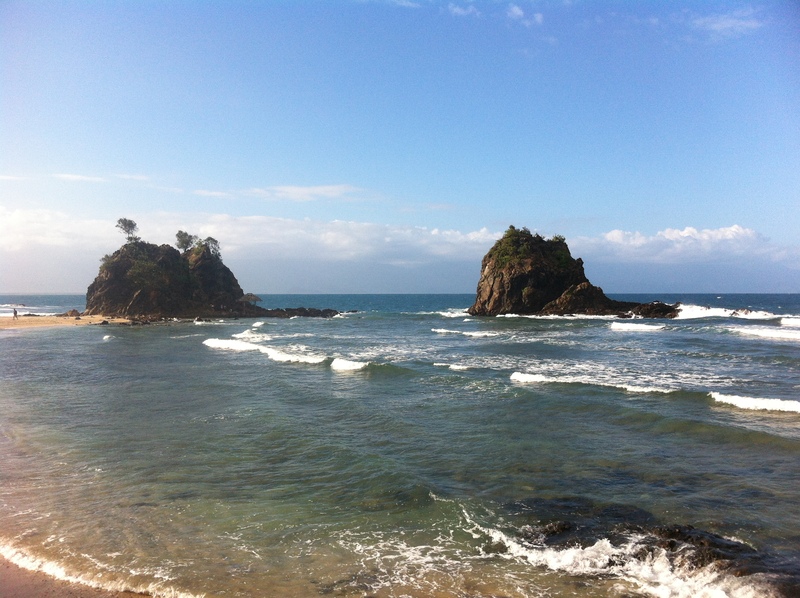 Unlike other populated beaches in the Philippines, Baler has always kept their surroundings clean. Not to mention, even the roads to other surf spots is a rough way just to keep it natural and untouched. The countless beautiful coconut trees, clean river paths, and different kinds of colorful flowers seen along the way are what Baler has best. Surfistas Elaine Abonal and Jovanne look like dwarves next to the wide expanse of gigantic coconut trees! We are in paradise! SCENERY. A photographer can easily capture a picturesque view of what defines Baler. Appreciate the view of the horizon along Sabang, explore on other beaches like Dicasalarin, or watch the best sunset view over at the Ermita Hill. GOOD COMPANY. Travelling alone? Meeting new people along the way will save the trip’s worth! See the famous Balete Tree (also known as the Millenium Tree) or trek through to the Mother Falls together. There are so many waterfalls to choose from and what better way to spend time with your friends than exploring nature with them! Here are Surfistas enjoying the cool waterfalls after a short hike and their surf lessons. THE TOWN. Also known as their “bayan,” it has everything needed fit for Baler’s lifestyle. The town not only has the market, food establishments and other services, it also has some historical background on its architecture and urban design, as well as their museum called Museo de Baler that stores different artifacts from ancient civilizations. NIGHT LIFE. This is not the city nightlife of unlimited booze and hyped music. The setting of Baler at night would either be acoustic sessions or videoke machines in bars, or a few bonfires with groups gathered around it along the stretch of Sabang beach. 10. BOATS. Explore Baler in a different way! There are a number of boats that can be used for touring all day. Wanderers will find coves, islands, reefs, and even historical landmarks that can only be seen from the sea. For surfers, this is also an easier way to check out surf spots along the coast. Jovanne started as a Surfista and now has her own beautiful longboard and goes on surf trips on her own. We couldn’t be more proud of our Surfista girl! 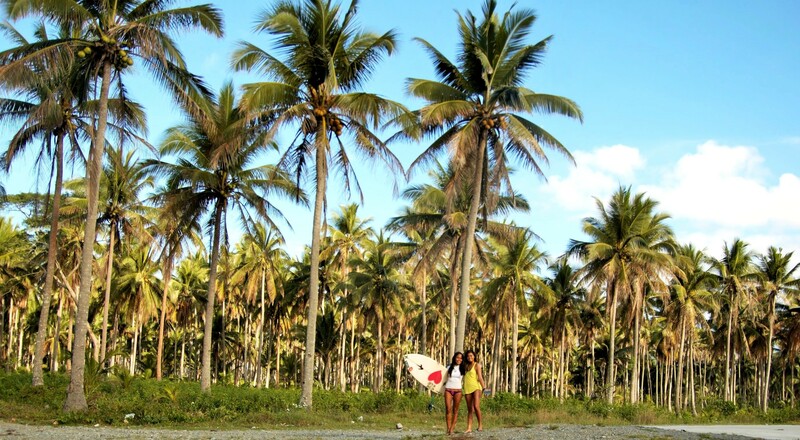 JOIN OUR FUTURE SURFISTA TRIPS! Top 10 Reasons why Surfista Travels is the BEST!